The eagerly anticipated Horus Heresy Black Book Malevolence and the Blood Angels Primarch Sanguinius are both up for pre order this Friday! I am very eager to get my hands on this book and put together a daemonic legion worthy of Khorne! 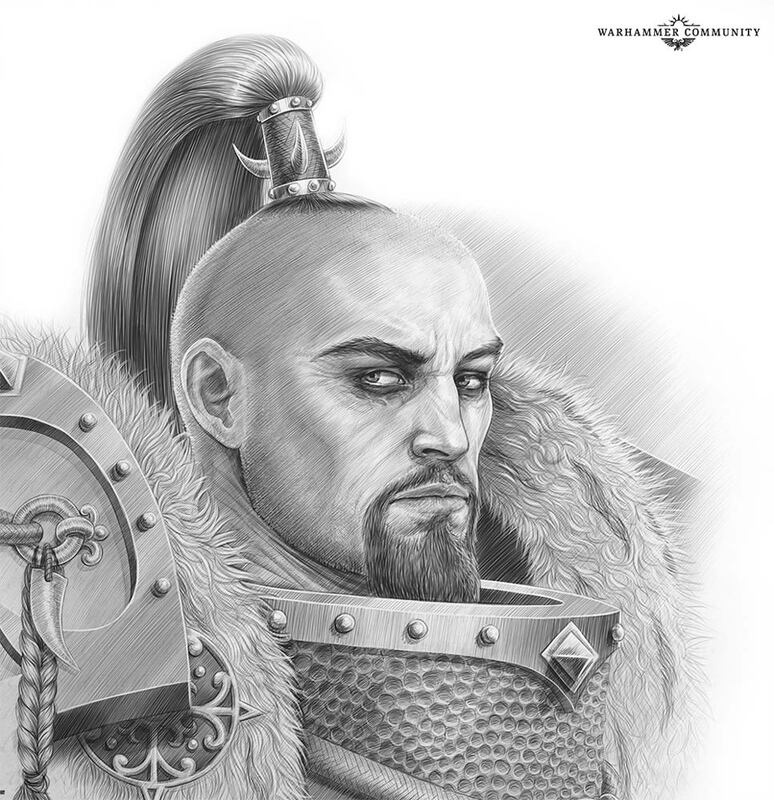 Check out all details about Malevolence on Warhammer Community! 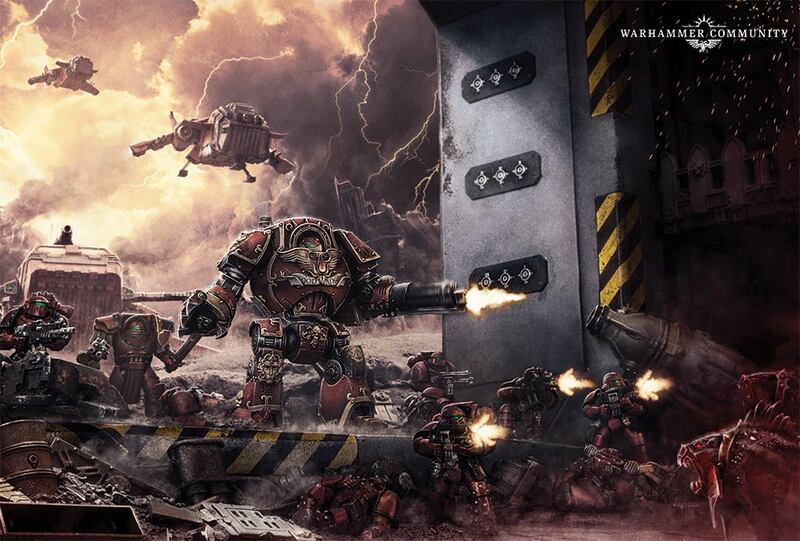 A new Horus Heresy ‘black book’ from Forge World is on the way. Very soon, you’ll be able to get your hands on The Horus Heresy Book Eight – Malevolence, which brings two new Space Marine Legions (and their Primarchs) to the Age of Darkness, and a whole lot more. Today, we’re taking a look at what the book has to offer. Malevolence also features two complete campaign systems which give you all the tools you need to recreate these vicious wars with your own forces. These include eight missions and all the optional rules you require to make the campaigns your own. 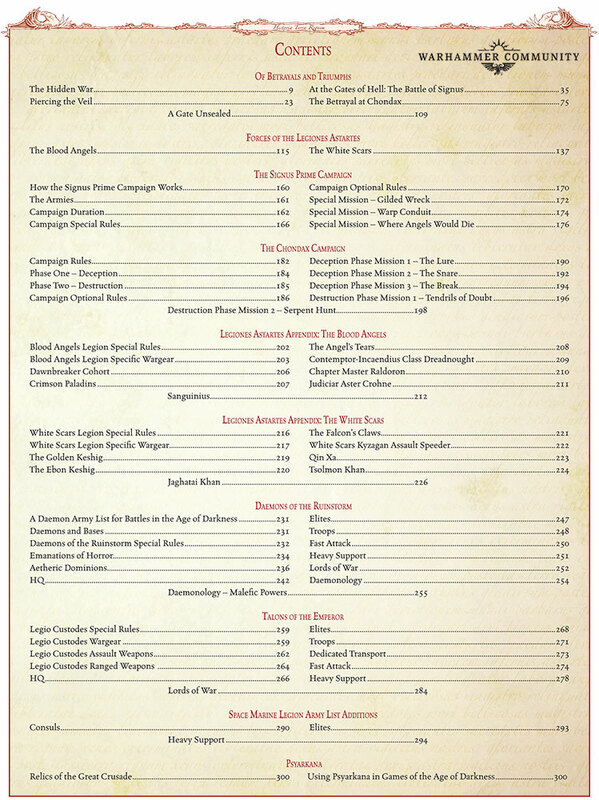 Along with in-depth explorations of both campaigns, you’ll find detailed background for both the Blood Angels and White Scars, looking at their histories, their actions during the Great Crusade and the cultures that make them distinct as the Warmaster’s rebellion engulfs them. Plus, of course, there are rules and exclusive units for both Legions so that you can represent them on the tabletop. The Blood Angels rules present them as an army with a penchant for brutal assaults, ideal for a player who loves to take the fight to the enemy. Their unique Rite of War, The Day of Revelation, allows you to build an army comprised of jump troops and hard-hitting deep strikers, and combines with an army ability to wound enemies more easily while assaulting. 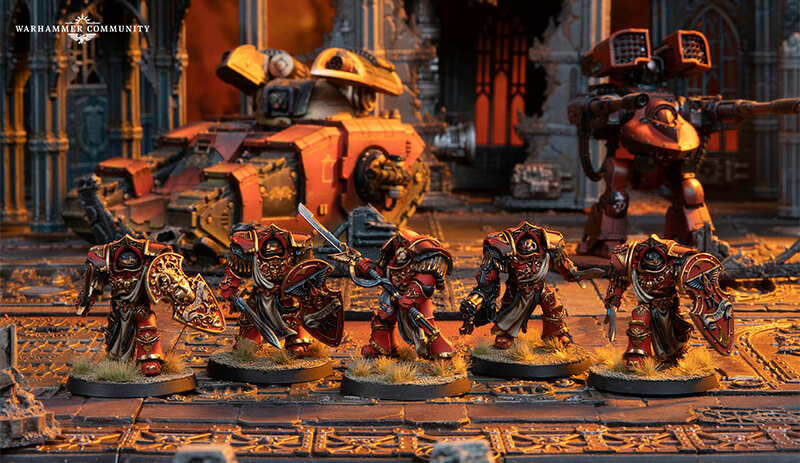 New units for the Legion include the Primarch Sanguinius, Chapter Master Raldoron, and the elite Crimson Paladins Terminators, alongside a variety of new jump pack-equipped squads. A new class of Contemptor Dreadnought armed with vicious claws and heavy flamers adds some heavy support as well – this behemoth has a booster pack that allows it to deep strike with the rest of the assault force. The White Scars are also known for their speedy assaults, and their rules naturally reflect this. They all have the Skilled Rider ability and can re-roll failed wounds on turns that they move. The Chogorian Brotherhood Rite of War goes well with this, allowing you to create a force built entirely from units mounted on bikes and jetbikes, perfectly representing the preferred fighting style of the Khan’s sons. 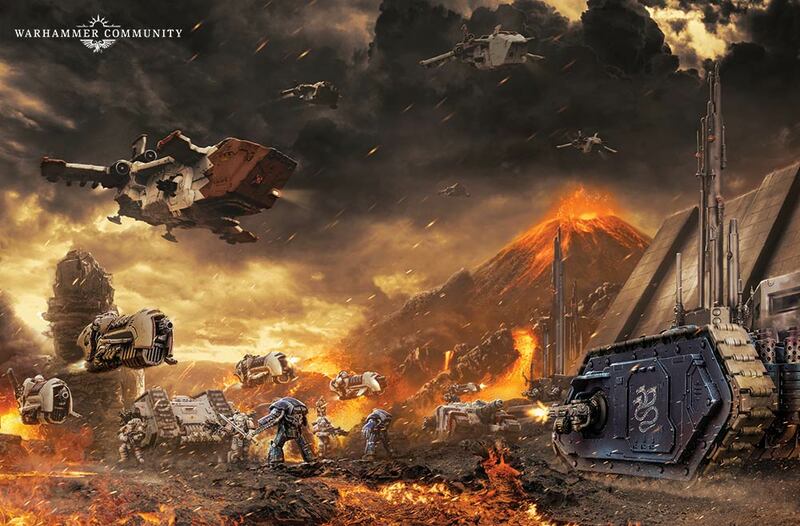 You’ll find new units that can be used in any Space Marine Legion army, including variants of the Sicaran battle tank, Legion Nullificators, who specialise in battling Daemons, and new Consul options. It’s not just the Space Marine Legions getting a focus – Malevolence includes two army lists. A Talons of the Emperor appendix allows you to field an entire force of Legio Custodes, with everything from hard-hitting infantry to devastating Dreadnoughts and drop ships. Ranged against them are the Daemons of the Ruinstorm. Representing the warp-spawned hordes unleashed by the foul sorceries of the Traitor Legions, this army list can be used as a force in its own right, or as infernal allies to a Space Marines army. If all of this has piqued your interest, the really good news is that you don’t have long to wait. 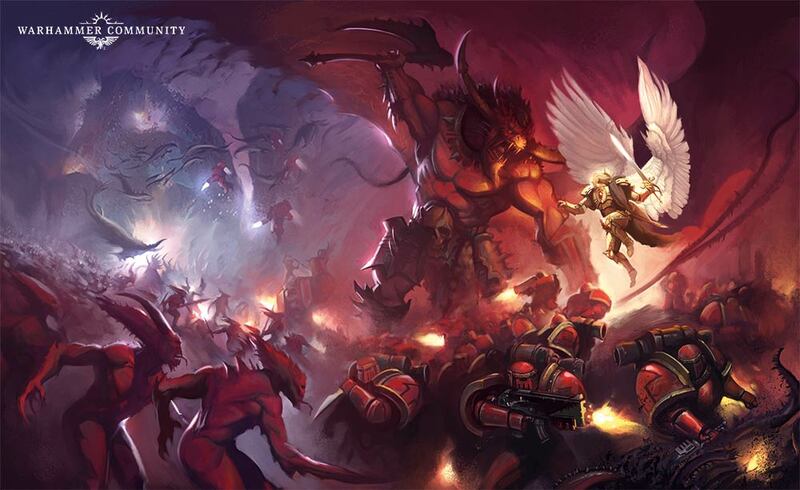 You’ll be able to pre-order the book this Friday, along with the first Blood Angels releases – including Sanguinius himself. In the meantime, you can familiarise yourself with the battles from the book in the Black Library novels Fear to Tread and Scars – download the eBooks now and get reading!